Are you a member of a community group or community council looking for ideas to engage local people in a project, survey or action plan? Community Engagement Exercises - a selection of exercises to help engage with people of all ages and abilities in fun and interactive ways. 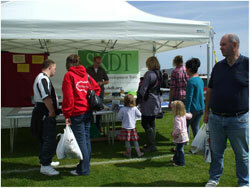 The Community Planning Partnership tent is 3m x 4.5m and is available for loan for partnership events. An additional tent, measuring 3m x 3m, is also available for loan. VOXUR “Points of View” camera and computer is on loan to Argyll and Bute Council from Education Scotland and can be used for community consultations with assistance from a Council official. 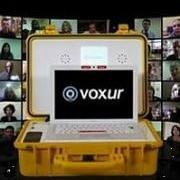 Voxur is a great way to gather the views of your community on film. In addition to the tents and VOXUR, a selection of practical materials are also available for use by community planning partners and community groups. A guide, outlining some of the resources available, is available to download at the bottom of this page.